Though it was long shunned by tourists in favor of colonial Antigua or beautiful Lake Atitlan, today Guatemala City is proving its credentials. This sprawling, chaotic metropolis is enormously varied, and visitors will find there are now far more trendy bars, restaurants, clubs and shops than guide books give credit for. Here are seven of the coolest places to visit in Guatemala City. El Portal is a traditional bar that’s located in the Pasaje Rubio, on the other side of the street from the Plaza Mayor de la Constitució. Open and thriving since the 1940s, El Portal is famous for being frequented by Che Guevara when he lived in Guatemala City in the 1950s. Whether you want to emulate the Argentine revolutionary will probably depend on your political views, but El Portal remains one of the coolest, yet also most traditional, watering holes in the city. With a long wooden bar, antique decor and marimba music in the evenings, having a drink here is like stepping into a Hemingway novel. Make sure to try a cervezas mixtas (tap beers mixed together in a glass). La Bodeguita del Centro is arguably the bohemian beating heart of Guatemala City. Half cultural centre, half bar, there’s live music almost every night from Tuesday to Saturday – everything from rock to jazz to classical. There are also plenty of poetry readings, debates, exhibitions, films and forums, and while there are performances every day, the main events are on the weekend. The decor is eclectic, and the walls are adorned with prints of Che Guevara, Bob Marley, John Lennon and Van Gogh. Entry is usually free Tuesday to Thursday, with a small charge on weekend nights. Food and drinks are served. If you’re someone who enjoys digging around thrift shops, Guatemala City’s Megapaca will leave you breathless. Megapaca is a clothing chain that relies on enormous loads of used clothes, usually donated from the U.S., to stock its stores. 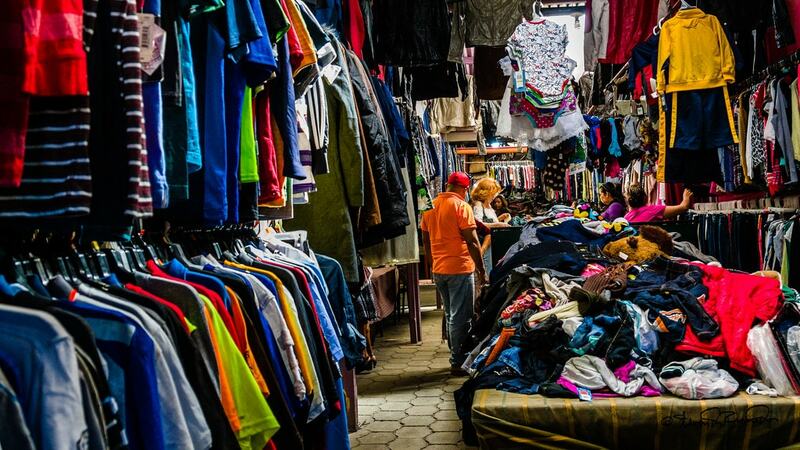 Unlike other thrift shops, a Megapaca only sells quality clothing; nearly 60% of Guatemalans live below the poverty line, so being able to purchase cheap-yet-decent clothing is essential. There are now over 50 Megapaca stores in Guatemala, but the one in the capital is the biggest and best. Take the time to wander through this maze of clothes and you’re sure to find some truly unbelievable bargains. Genetic Majestic club – previously called Pandora’s Box – has been the go-to destination for Guatemala City’s gay crowd since the 1970s. These days, however, the crowd is more mixed, although it’s still the largest gay hangout in town. It’s also the best place in the city to enjoy trance and dance music, and the two dance floors are almost always heaving. If you’re feeling more chilled, there’s also a rooftop patio and areas of the club that are more relaxed. For those people looking to party, Friday nights are all you can drink. The craft beer movement may not have been quick to hit Guatemala, but things are beginning to change. 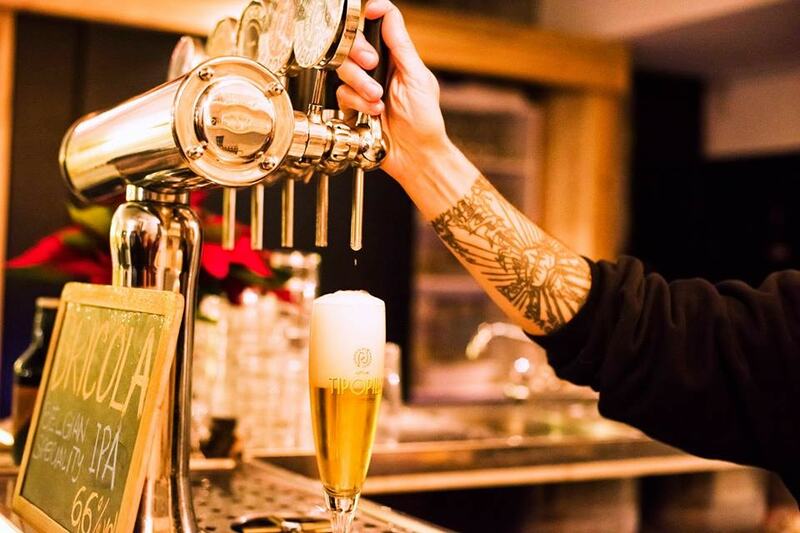 El Principe Gris is the best place to come in the city to enjoy a frothy artisan beer, and though it hasn’t been open long the bar has already made a name for itself. Set in a secluded lower level of the Casa del Águila Cultural Center, this trendy microbrewery serves up a decent range of IPAs, artisanal lagers, hefeweizens and coffee stouts. There’s also a limited but tasty food selection (sausages, burgers, crostinis etc) if you need to line your stomach before a night of drinking. Las Cien Puertas (100 doors) is one of the oldest bars in Guatemala City, and it’s also one of the coolest. Located in a colonial arcade (Pasaje Aycinena in Zona 1) that’s said to have 100 doors (hence the name), this trendy bar is as eclectic as it is hip. Nearly every inch of the walls is covered in graffiti, and new patrons are invited to sign their names before leaving. In the early evening El Portal is a great place for a quiet drink with friends, but as the night goes on the late opening hours draw night owls from around town. Essentially a bar, cafe and coffee shop, having a drink here is a must. Leading Guatemala City’s fine dining scene is Ambia, an achingly trendy restaurant/bar located in the most prestigious area of town. On warm summer nights, the pretty courtyard-lounge area is packed with young, glamorous (and presumably wealthy) locals, although tourists seeking a world-class gourmet meal also form a key part of the clientele. The wide-ranging menu offers some excellent fusion dishes – mainly Asian flavors with a Guatemalan twist – and the presentation is beautiful. Definitely a cool place to see in Guatemala City… although maybe not if you’re on a budget.